Where is Surface Finish Symbols in DraftSight ? When you click on this tab a ‘Toolbox – Surface Symbols’ dialog box open as below. 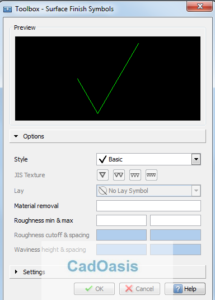 Preview of Surface Finish symbol changes as per Style in Options. There are different Styles in Surface Finish Symbols as below which you can use as per your requirement. 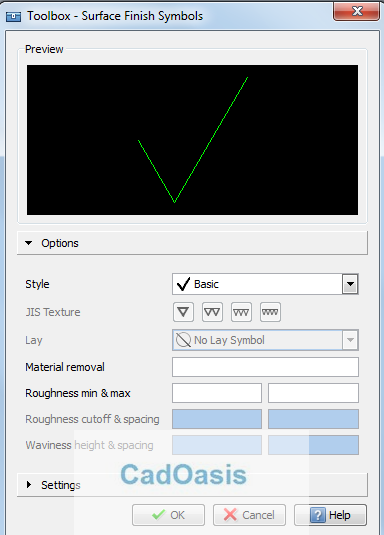 Style ‘Surface Texture’ activates ‘Lay’ drop down menu and other sections below it. 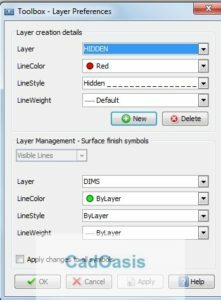 Click on Settings to open Settings of Surface Finish Symbols. Here you can change TextStyle from available Text styles in Drawing . You can also change Text size . 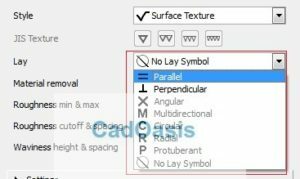 To use Leader to Surface Finish Symbols click on Checkbox for Leader. To change Layer Preferences click on ‘Change…’ tab. You can create new Layers from here. 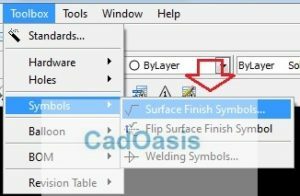 How to Flip Surface Finish Symbol ? ‘Flip Surface Finish Symbol’ is available next to ‘Surface Finish Symbols’ tab . Specify surface finish symbol» Select Surface Finish Symbol in GA it will flip symbol to 180 degree. Note: You cannot flip a surface finish symbol with leader.